Rifts® Kickstarter Video! 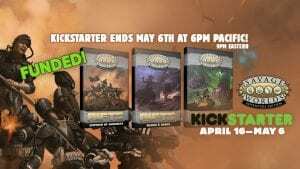 Kickstarter Launch is April 16th! 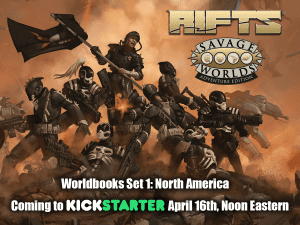 It’s almost here—the Rifts® for Savage Worlds Kickstarter begins on April 16th at High Noon EDT! If you want a taste of what’s to come, head over to our YouTube channel for the Rifts® for Savage Worlds Worldbooks Set 1 Kickstarter video, expertly created by three-time Hugo Award-winning artist Cheyenne Wright. Please share the video and make a note of the Kickstarter launch date and time, Savage Rifters. The Rift® opens once again on Tuesday, April 16th 2019 at noon Eastern! Get Ready for FG Con 14 This Weekend – No Travel Required! FG Con is a community organized virtual convention using the premier virtual tabletop platform—Fantasy Grounds. 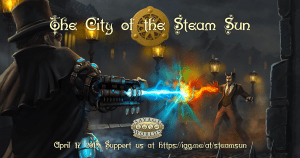 Held twice annually (April and October), this virtual event features numerous games (including Savage Worlds, of course) being run using Fantasy Grounds, as well as several training/tutorial sessions aimed at a variety of topics. This year’s FG Con runs this Friday through Sunday (April 12th through 14th). Note that Fantasy Grounds Game Masters with Standard Licenses are temporarily bumped up to Ultimate licenses for the run of the event enabling players with demo licenses to participate on ALL tables. To find out more and to register for events, visit the FG Con 14 website today! Con season is in full swing and we’re now less than a month from Chupacabracon VI, the premiere, three-day, tabletop RPG and board game convention in the greater Austin area, and one of our favorite events! 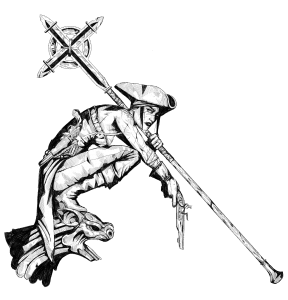 Attendees will join a host of Pinnacle alums running and playing Savage Worlds games (including the annual, star-studded, interactive charity game), participating in panels, and even tailgating in the parking lot. “Chupa” (as it is often referred) also hosts one of the finest Savage Saturday Nights around! Chupacabracon also hosts Doomtown‘s Twilight Protocol destination event: Act II: The Texas Rangers! Players at Chupacabraon will vote for who will join the Texas Rangers in the fight to save humanity. This series culminates in the World Destination Event set for October 26th in Tombstone, AZ. To catch up on the events of Act I: The Agency, held at GenghisCon, click here. This year, the Chupacabracon schedule is positively brimming with guests from the Savage Worlds community including Shane Hensley, John Goff, Matthew Cutter, Preston DuBose, Ed Wetterman, David & Christine Lapp, Scott Woodard, Teller, and Sara & Brendan Quinn all gathering at the Wingate by Wyndham Round Rock Hotel & Conference Center in Austin, TX. Visit the Chupacabracon VI website (where you can get your badges and register for events), join their Facebook page, and keep your eyes on the weekly Pinnacle Entertainment Group news for additional details. We hope to see you May 3rd through 5th in Round Rock, TX! Preorders for SWADE Collector’s Editions Close Wednesday, April 3rd! 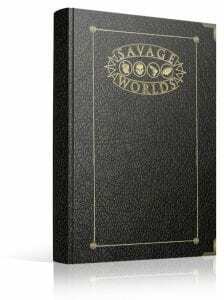 We are starting to run low on preorders we can allow for our signed, limited, black leatherette Collector’s Editions of the new Savage Worlds Adventure Edition (#SWADE) core rules, so we’re going to pull the option to preorder them from the PledgeManager this Wednesday, April 3rd. If you already have one of these gorgeous editions as part of your original Kickstarter pledge, visit PledgeManager to lock in your copy today! Don’t miss out! Rifts® for Savage Worlds Worldbooks Set 1 Cover Preview! 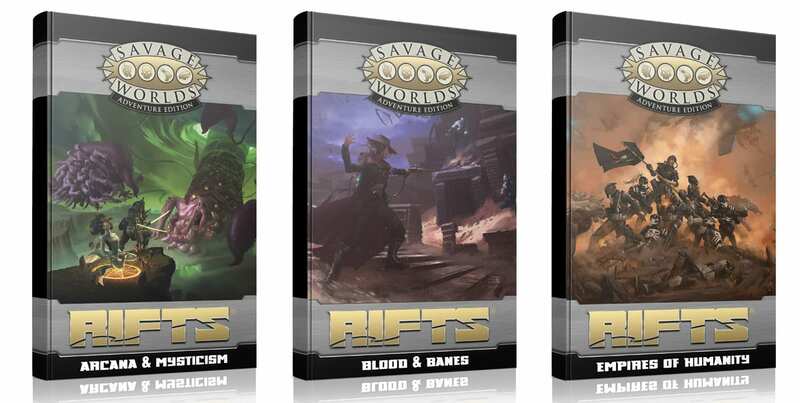 We were so excited about the look of the upcoming Worldbooks for Rifts® for Savage Worlds, we simply had to share them all with you in this week’s news, a full two weeks before the launch of the actual Kickstarter! 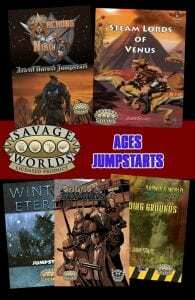 These three new worldbooks will round out the continent of North America for Savage Rifts®, and they will, of course, all be compatible with Savage Worlds Adventure Edition. 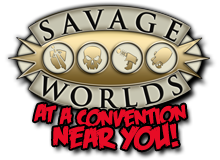 Also releasing through the upcoming Kickstarter campaign will be the original three core books and GM’s screen updated for the new Savage Worlds Adventure Edition core rules. 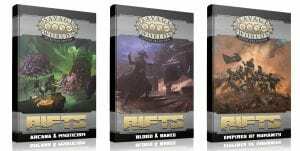 The three updated books and Game Master’s screen will be at a one-time only discounted price during the Kickstarter for those who want physical copies. As always, we’ll provide all the relevant changes in a free update document for easy conversion between print editions. 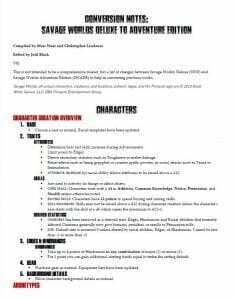 We’ll also automatically update each book’s PDFs on our site and DriveThruRPG once they’re finished. For now though, make plans to be there for the launch on Tuesday, April 16th, at noon Eastern! JumpStart Bundle 3 is Now Available! If you have not yet received a notification about this, please contact us at site.admin@peginc.com. Please note that this complete bundle is ONLY available to Kickstarter backers, however most (if not all) of these products will soon be available for purchase directly from DriveThruRPG. * I can neither confirm nor deny that 31 JumpStarts will be the title of the next sequel to 21 Jump Street.